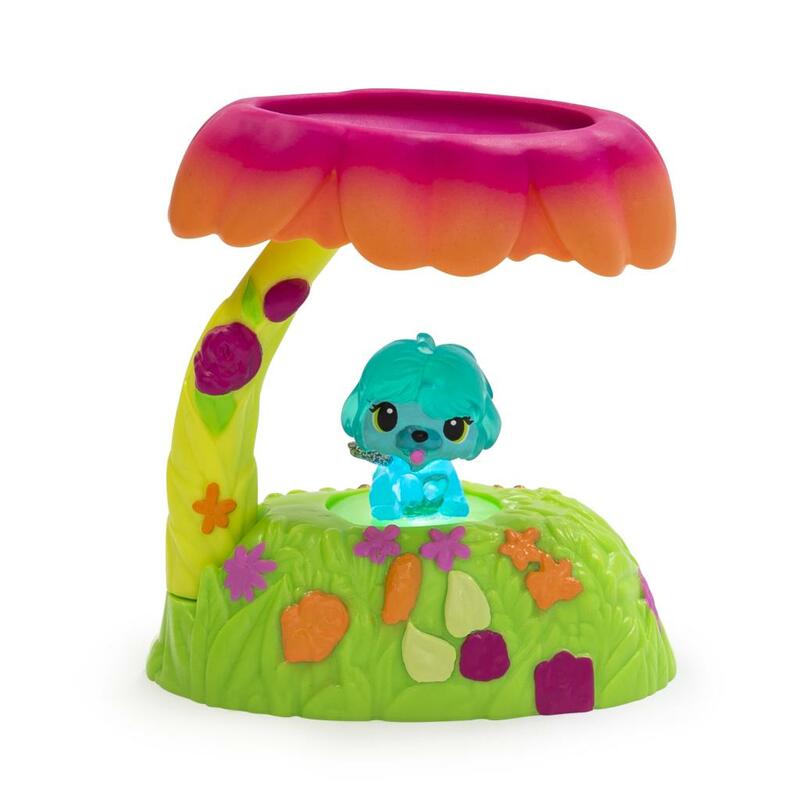 Show how your Hatchimals CollEGGtibles shine with the Glittering Garden Hatchy Home! This playset’s light-up base and twirling flower nest give you two places to display and play with your Season 4 Hatchimals CollEGGtibles! Twirl the flower out to easily place your Hatchimal on the sandy base. Push down on your character and the light below will make them glow! Push down again and you’ll activate one of three light-up effects! 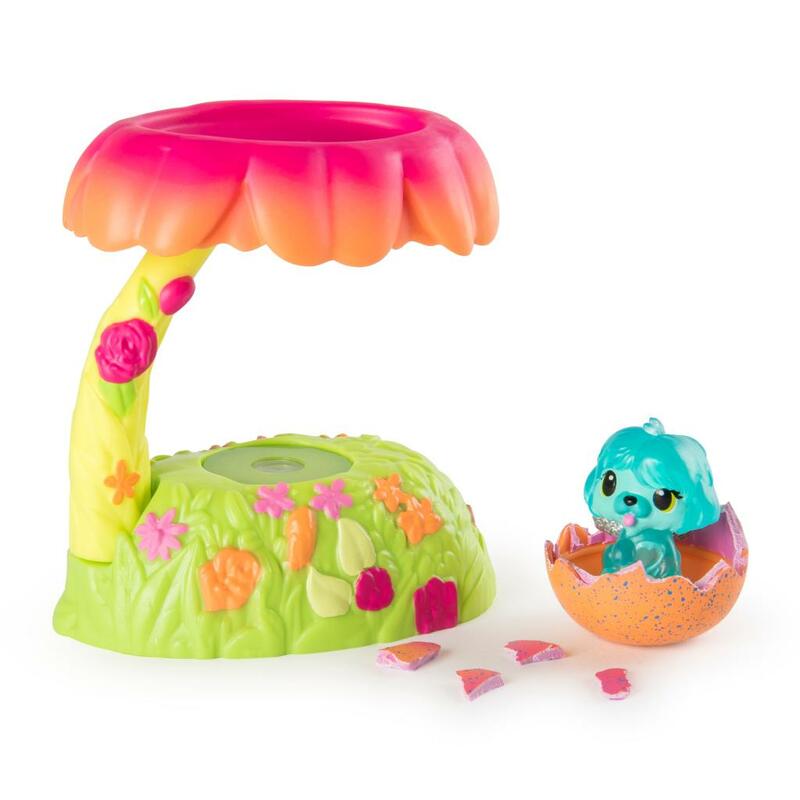 While one Hatchimal is shining bright, you can keep another character cozy on the flower nest! 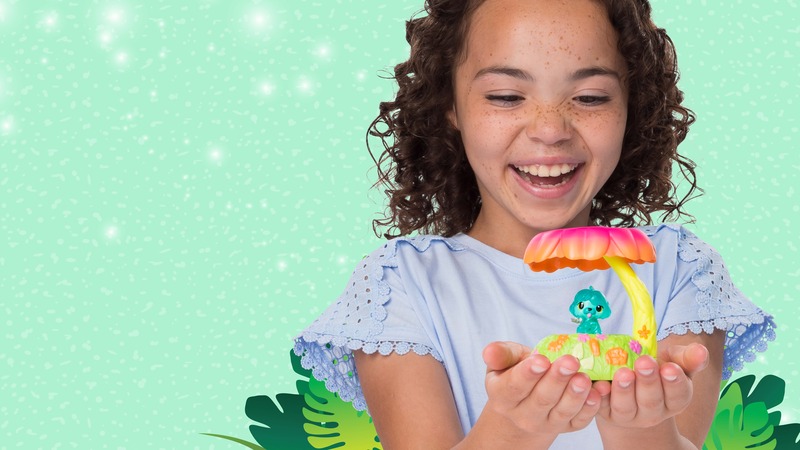 This Glittering Garden-themed playset brings all the magic of Hatchtopia to life! It even comes with an exclusive Season 4 Hatchimals CollEGGtible! Rub the purple heart on your Hatchimal’s egg until it turns pink, then press down to crack the shell and meet your new friend! 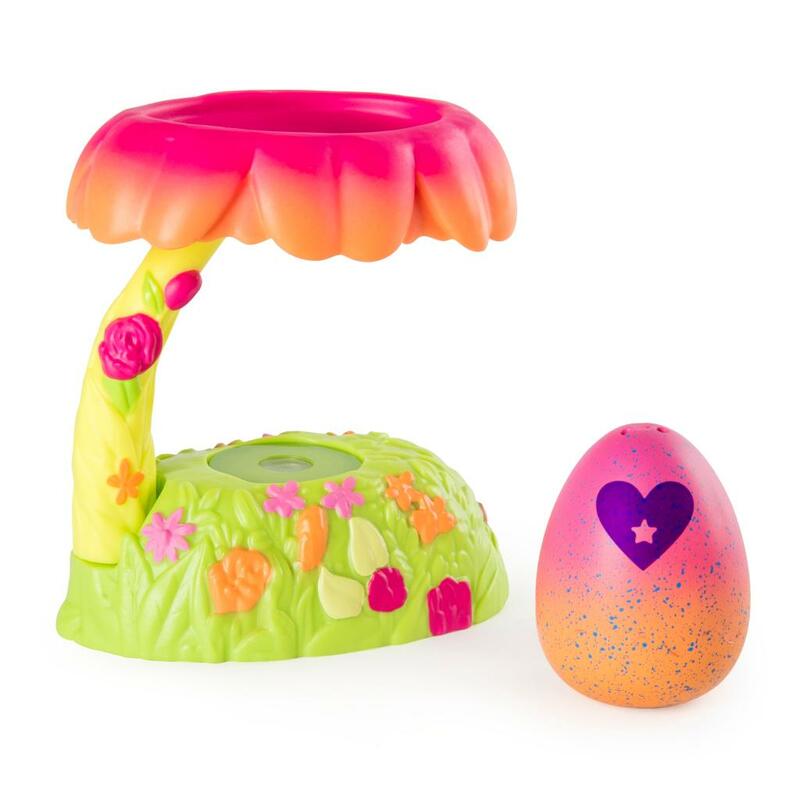 For more EGGciting fun, add the Fabula Forest and Breezy Beach playsets to your collection! You can stack them up to form the ultimate hatchy home! With so many possibilities, what stories will you tell? Hatch bright with the Glittering Garden Hatchy Home! 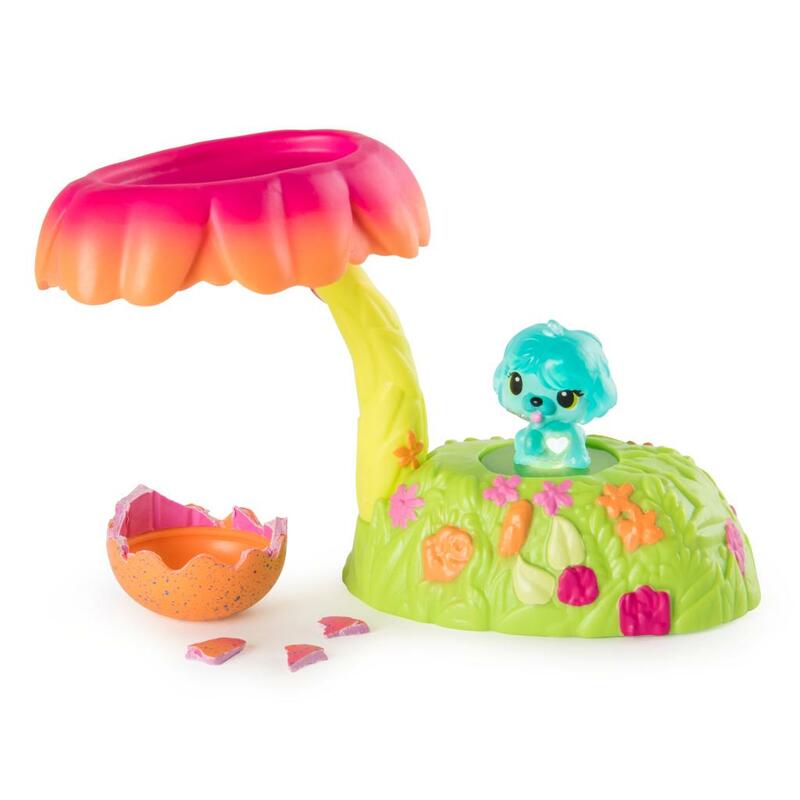 LIGHT-UP PLAYSET: Place your EGGclusive Hatchimals CollEGGtible (included) on the sandy base of this playset and push down! The light below will make them glow! Keep pushing to see different light-up effects! TWIRLING NEST: This flower moves! 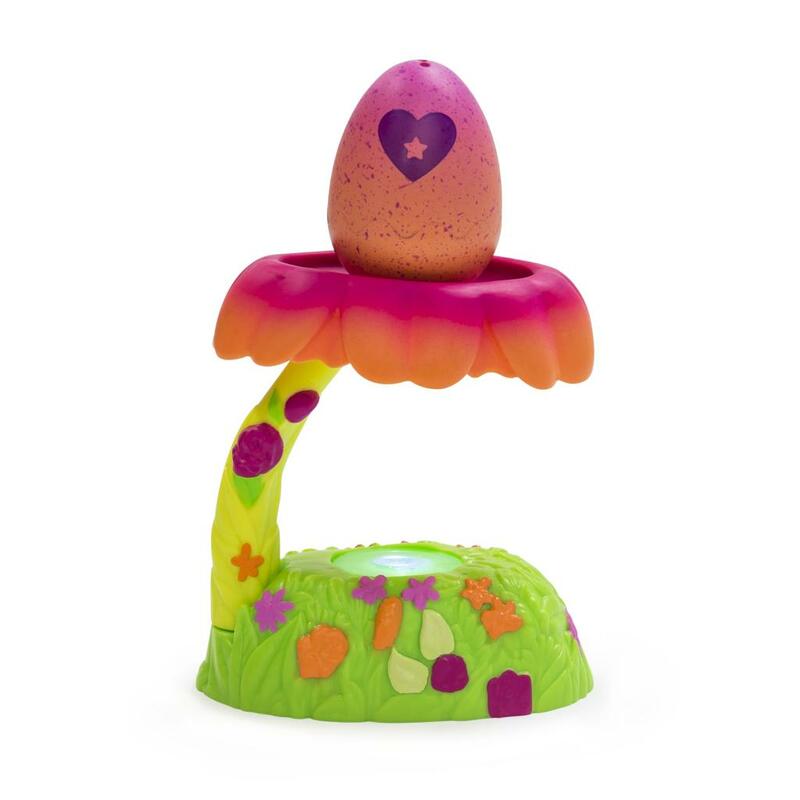 Twirl the flower out to easily place your Hatchimal on the light-up base! Now you can place your Hatchimal on the palm tree nest! 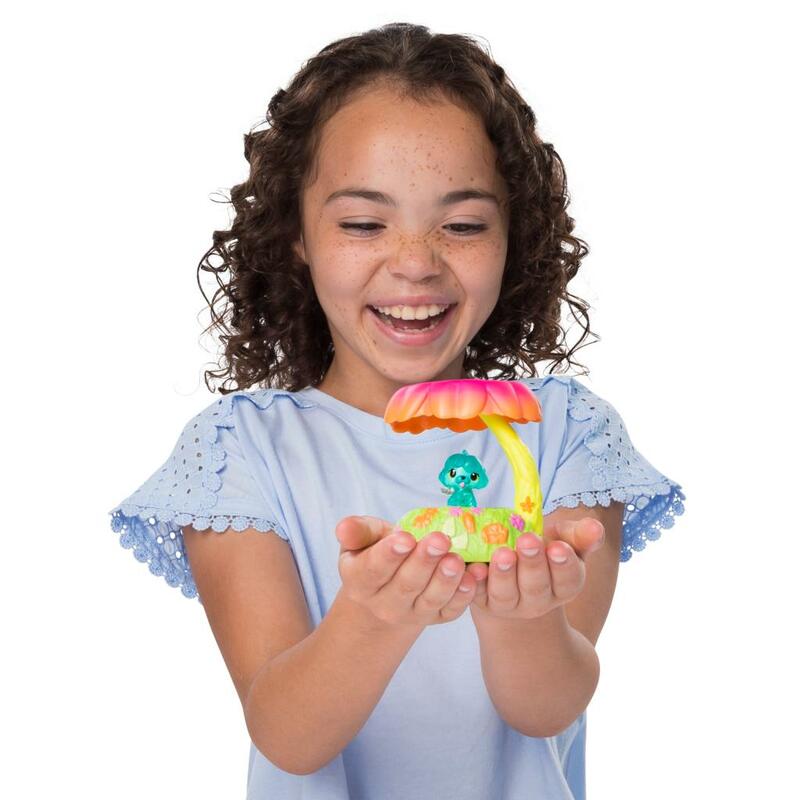 To create the ultimate hatchy home, add the Fabula Forrest and Breezy Beach playsets to your collection and stack them up! 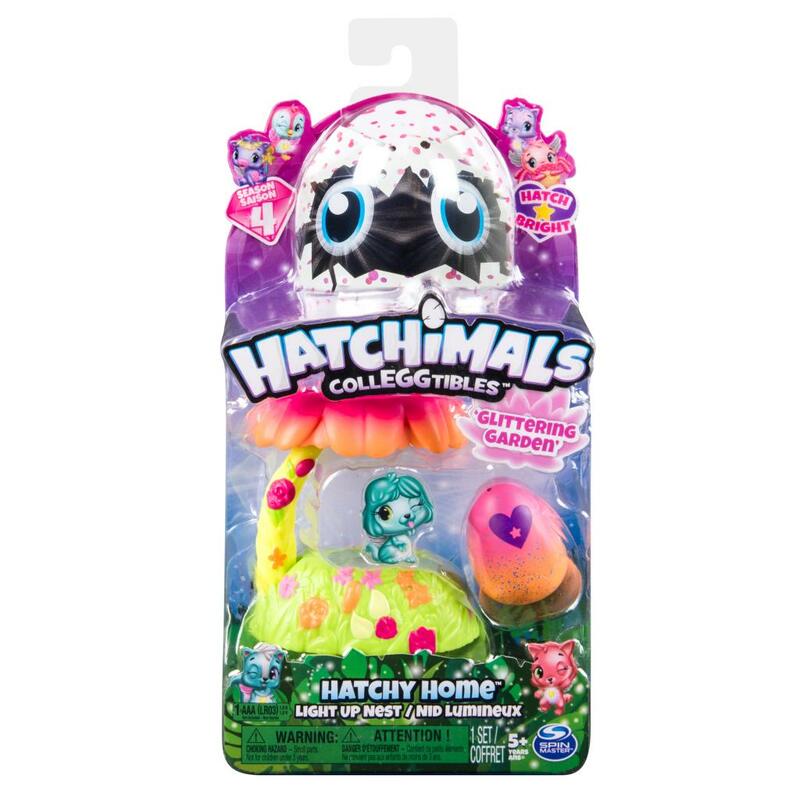 EXCLUSIVE S4 HATCHIMALS COLLEGGTIBLE: This playset comes with an exclusive Season 4 Hatchimals ColllEGGtible! Use your love and care to hatch your new friend, then place them on the light-up base to see them shine bright!